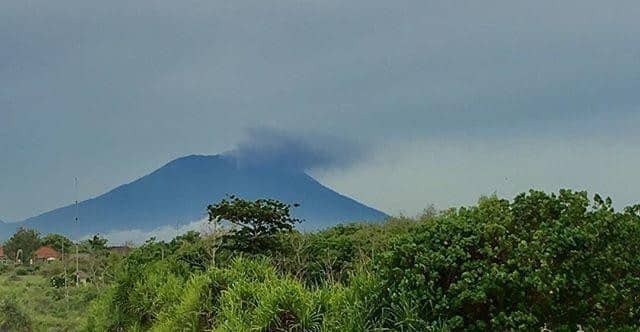 Mount Agung in Bali had started to erupt last Tuesday (21st of November) and so the Ministry of Foreign Affairs issued a statement to recommend Singaporeans not to travel there. Which makes sense, because it is not just exposure to the lava that will kill you, volcanic ash clouds have been known to cause aircraft failure. For this reason, flights don’t take off when a volcano is doing its thing. And then there’s the inconvenince of having ash over everything, especially your beachside cocktail. However, Indonesia’s travel authorities said that Singapore’s advisory was “excessive”. The Indons argued that only 6 to 7.5km around the crater of Mount Agung is considered dangerous. Surely it is not that bad. Flowing hot lava incenerate, buries and buldozes everything in its path and nothing stops its advancement. Unpredictable amounts of hot gas and rock would get thrown up in the air turning into bombs when they land. Exploding volcanoes also lead to mud slides and tsunamis. According to media reports, most people are reported to be killed within a 10km radius but deaths still occur up to 170km away. But other than that, the Indonesians are right – there really is no danger. So if you’d like a spot of action, excitement and passionate hot lava – head on down to Bali against the advice of the MFA, because what do they know about volcanos eh?